Fundraiser for local charities and families-in-need! 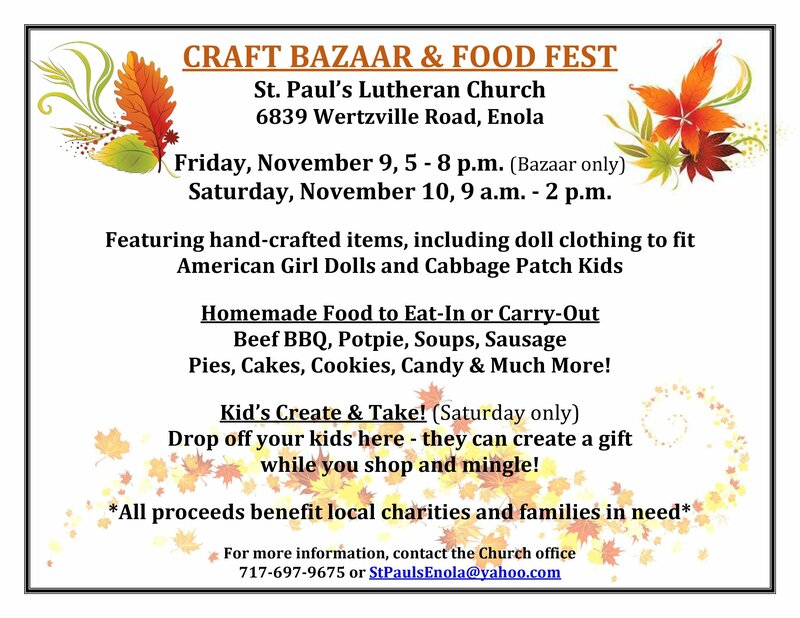 *Featuring hand-crafted items, including doll clothing to fit American Girl Dolls and Cabbage Patch Kids. *Homemade Food to Eat-in or Carry-out (Saturday only): Beef BBQ, potpie, soups, sausage, pies, cake, cookies and more! *Kid’s Create & Take (Saturday only) – drop off kids here so they can create a gift while you shop and mingle.